Sara O’Connor, a new face to Australian country music was introduced to the genre by her country-loving partner Ben Soutter and to the industry by none other than Melinda Schneider. About a time when Sara was performing across Australia at casinos and convention centres; she was creatively uninspired and had fallen into a routine. Realising there are lots of things we all do where we feel that way; shopping, attending meetings, feeding the kids, paying the bills etc. Sara appreciated that everyone can relate to this at some point. Born/raised in Wangaratta, Victoria, Jade divides her time between Australia and Nashville, Tennessee. Almost 21, Jade has been performing since she was 14 and has now played over 400 shows. ‘The Great Unknown’ is all about being young, exploring our big beautiful world and was initially inspired by Jade’s biggest musical influence, Keith Urban and his summer-tinted hits. This debut single is the title track and opener of Jade’s five track EP to be released on Friday April 12th. Tamworth born & raised, on a healthy dose of blues/rock/country. 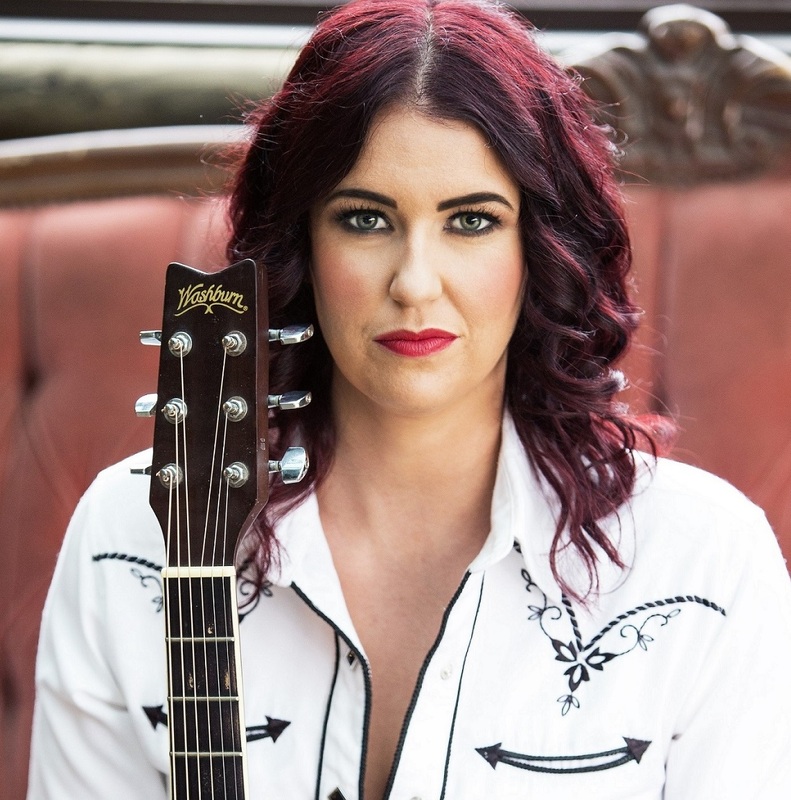 Sally-Anne was awarded Most Popular Female Artist & Most Popular Independent Album “Burgundy Street” at 2019 Tamworth Country Music Festival. Co-written by fellow Tamworth artist, Allison Forbes, explores grief and loss. Having already booked a trip to USA, when a list of death and disasters occurred for her family, she was in two minds about going. With no refunds, the trip went ahead. The singer soon realised ‘you can't hide from a broken heart’, it will follow you everywhere. Singer-songwriter, Laura-Therese Davis is a trained pianist and self-taught guitarist from NSW Northern Rivers. Her connection to the land and love of horses have helped bring her to country music. The autobiographical tale of a new highway being built near Laura's home in Maclean NSW. While the author lives on the NSW Northern Rivers this story could be about so many towns, it’s the same sad tale. With roadwork ten minutes from her home, everyday Laura would drive through and see the beautiful landscape literally changing before her eyes. Sally-Anne Whitten was born and raised in Tamworth on a healthy dose of blues, rock and country. Over the years she has honed her very own style of ‘funky country’. Sally-Anne and co get down and a little dirty here. Lyrically, Sally-Anne pulls no punches and mate Matt O'Leary has the starring role on harmonica. We all know those air-kissing, fake members of society depicted in the song. Jason Owen was raised to the tune of classic country artists and was launched onto the Australian music scene as runner up of The X Factor in 2012. Written by cousin Matthew Young, Jason Owen's first original tune in almost two years, is a tender tale of promised love. All about doing life your way and not being afraid to say good bye to people or things that are no good for you. A blues rock number, it’s no surprise that Sally-Anne was listening to a lot of Robben Ford and John Hiatt just before this track was born. Country-pop artist Alexandra Gunn, was born and raised on Southside of Brisbane, Queensland. The self-described girl from the suburbs who rides horses in her imagination writes all her own material. 'Follow Through' is all about action rather than words. Alexandra says, “This is my unconventional love song. Not the butterflies and rainbows type but love all the same. It's a bit of a last-ditch effort, get it together or I'll give you the boot”. Emily is a singer/songwriter, as well being accomplished on the guitar and keyboard. She is also an Academy Of Country Music graduate, in both the Junior & Senior courses. This self-penned track is all about the beginning of a relationship. The single explores that time when you are starting to develop feelings for someone but don’t want to have your heart broken if it doesn’t work out. This is one of only a few love songs Emily has written. NZ/Australian Singer/songwriter Vanessa Delaine was born with a voice that leave audiences breathless. Her crossover style encompasses Blues, Country, Rock, Folk and Funk. Produced by Michael Carpenter of Sydney's Love Hz Studio, Vanessa wrote this track in an effort to cheer herself up. The track explores the freedom we all crave to be ourselves in a society that judges us on our beauty, age, race, sexuality and gender. Queen, Fleetwood Mac, Johnny Cash & Dolly Parton are Kylie's early influences. This now reflects Kylie’s sound – remembering when there weren’t as many genres/classifications, good music was good music. According to Kylie's husband, this track is autobiographical. When a storm is brewing it’s a bit of a mess, collecting bits and pieces of energy/matter it needs to really build up steam but once it has direction and the right elements there’s no stopping it until it’s run its course. Featuring on 2015's "Runaway" album, it is the first blues track Vanessa ever wrote while thinking about how 'blue' you can really get. The track & video have been honoured at the 2016 Akademia Music Awards and 2017 New York Film Awards & LA Film Awards. NZ/Australian singer-songwriter Vanessa Delaine's crossover style encompasses Blues, Country, Roots, Folk and Funk. Her musical studies covered those genres & she started performing as a child with her entertainer dad. ‘Rainy Day’ is the latest single from New Zealand/Australian singer-songwriter Vanessa Delaine. The track was penned by Vanessa on a scorching hot day when she was craving a bit of reprieve from the harsh Australian summer. Emily is a singer-songwriter, as well being accomplished in the guitar and keyboard. She has graduated from both the Jnr & Snr courses at the Academy Of Country Music. 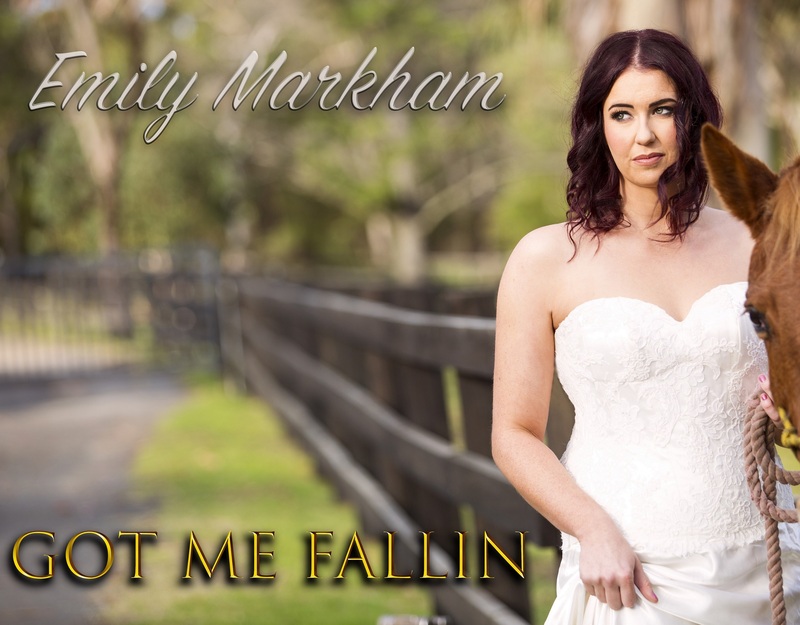 ‘Collision’ the new single from Emily Markham was co-written with Kelsey Strasek-Barker and Nathaniel O’Brien at the 2014 Academy Of Country Music. Created during a group session, the title came from a newspaper headline and all three songwriters imagined revenge as the key theme. 45 minutes later ‘Collison’ was born. Kylie Ryan is a Western Sydney singer-songwriter who has completed studies in music theory performance from WSI Entertainment & is influenced by contemporary country artists. 100% self-penned, this song explores the feelings and thoughts we have at the beginning of a new relationship, while we enjoy that feeling, as we get older and have had our hearts broken a few times, we also know there’s a chance that it might not last. Whether it be life, work, taking chances or in this case love, the message of the song says sometimes we just need that little push. Live, love and dream and remember sometimes it takes a little PUSH. "You're never gonna win if you don't play". Innocent Eve hail from a cattle property near the small town of Wowan in Central Queensland - acoustic duo, singer songwriters and sisters! 'Sisters' is all about the three Olsson sisters, Rachel, Rebecca (aka Innocent Eve) and Catherine - all three were in a cover band once. The 'sisters' are quite different - looks, personality, situation but always have each other's back no matter what and they all have blue eyes! Tony Cook or "Laidback Tones" as he is affectionately known in North Queensland, is a country music artist with a passion for the outback. The first single and title track from Tony's debut album Laidback Country is written about his beloved hometown of Charters Towers, Queensland and its “laidback culture”. Legendary Australian guitarist Phil Emmanuel contributed the lead guitar solo for the track.